Just back from ASTD and meeting with colleagues who use my team building games and other products, my thoughts on involvement and engagement being done by supervisors received lots of support. But the reality is that supervisors are roadblocked from being successful in motivating their people and often in making improvements to their workplaces. They are just too busy doing what they have to do to meet the requirements of their job. There is simply not enough time or resources to stop the workflow and make improvements. 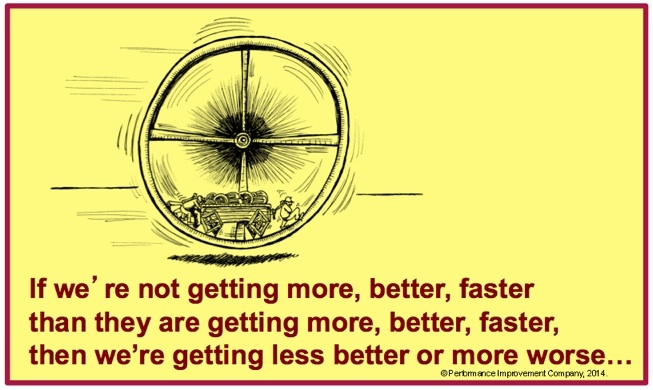 What we need to do is to Step Back from The Wagon and look for opportunities to make improvements.